As I type this we are in Santo Domingo picking up our first team after a 7 week break. It feels good to get back in the swing of things. I spent this past week working on details for our annual student sponsorship updates. We were in El Cercado on Wednesday and Elias Piña on Thursday. This upcoming week I will be at Lucille Rupp and CCED. It’s definitely a tedious task updating all of our information and editing photos, but we seem to be moving right along. Braegan is continuing to do well tackling both her Dominican and American workload of school work. I feel like I am also able to get my fill of teaching in as well. Braegan’s favorite part of her American school is that she gets to learn about a new artist each week and practicing their style of artwork! Her favorite part of going to Lucille Rupp is getting to see her friends every day! Two weeks ago we had a staff getaway with Nicole, the Millers, and the Zimmermans. 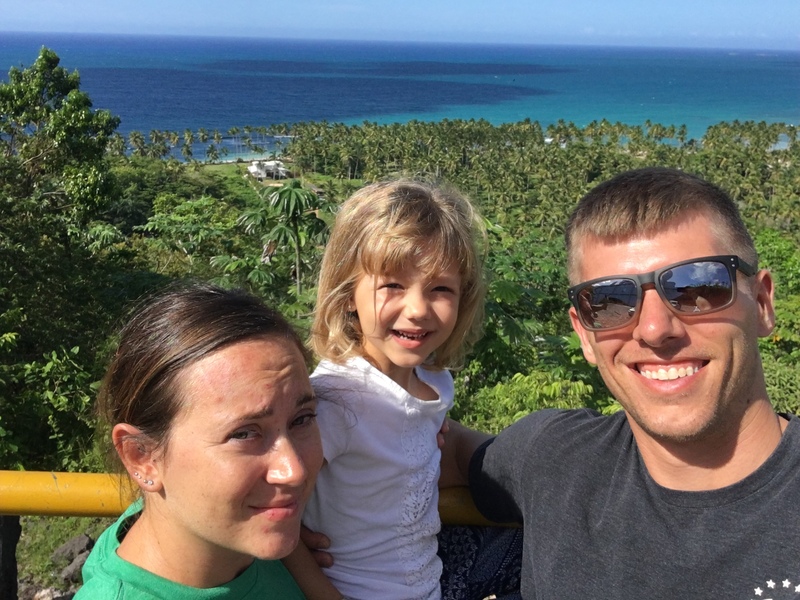 We all trekked up to Las Terrenas for 5 days. The weather was beautiful and it was nice to just spend time together without the distractions of work. This time had its share of adventures as well! (Pardon my expression…I had just wok up from the drive and the sun was in my eyes.) This is one of our favorite look out spots along the drive to Las Terrenas that we stop at each time we visit. And how is it October already? This year has flown by! Another fun fact about October is that Dominicans usually start their Christmas decorating before the month is over. Halloween and Thanksgiving are not celebrated here, which makes for a longer time of enjoying the lights! Jeff, Braegan and I will be heading to Indy in 2.5 weeks to attend SRI’s biannual board meeting. We are looking forward to catching up with everyone. Following that we will be heading to Italy for two weeks to celebrate our 10 year anniversary and attend our friend’s wedding. We have been planning this trip for a while, and we are looking forward to traveling around the country. -We are still awaiting our residency renewal, we are now 2 months past our expiration. Immigration is still going through changes, we are hopeful that we will be able to have this renewal complete prior to leaving in a couple weeks. –Boundary setting, I need a lot of prayers in this area. Each fall when I am working with the schools, it seems as if the list of tasks is never ending. Currently I just work until my computer dies or we lose power. I really need to do a better job of taking breaks and setting time aside for myself. 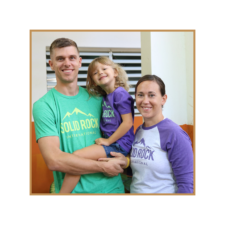 ©	2018 Jeff & Kamanda Bucher | Solid Rock. All Rights Reserved.